I have taken many photographs of bluebells over the last few weeks. They came early to some of my favourite beech woods well before there was any green on the trees. This photograph was taken last Saturday, in Queen Wood down a bridleway about 1 mile from Christmas Common. 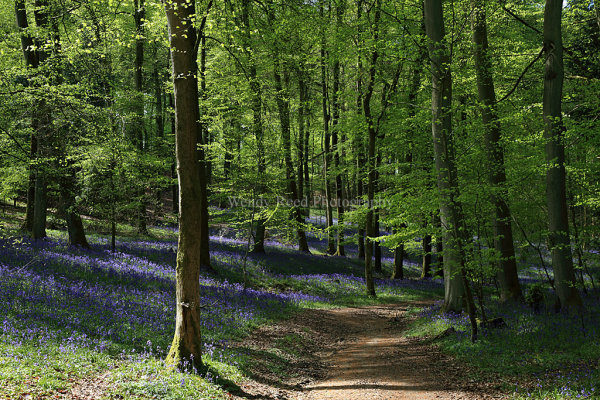 The bluebells are at their peak (probably because this area is geographically higher) and so the result is a combination of a lilac haze dappled by bright sunlight and the freshness of new acid green leaves.